Westben’s primary venue, The Barn is located three kilometres north-west of Campbellford 6698 County Road 30, on gently rolling farmland previously owned by three generations of the West family. West School and West Cemetery lie just to the north, while the area’s principal brick-making machine sits in retirement in the front field. Purchased by the Bennett family in the 1960’s, the area was dubbed “Westben,” . Westben’s co-founders, Donna Bennett & Brian Finley built The Barn in 2000 with the help of the community. The Westben Board of Directors formed in 1999 and received charitable status in the year 2000. Conceived to compliment its naturally beautiful setting, the timber-frame structure was designed and built by Didier Schvartz of Lakefield’s Sun Wood Company. With its massive fir and hemlock beams and locally-milled pine ceiling, The Barn has excellent acoustics. Walls and doors roll back to allow music to waft over the surrounding meadow. The stage is elevated by 4 feet. 300 cushioned theatre seats are located directly in front of the stage in 20 rows of 15 seats, all with an unobstructed view. Each of the two wings can accommodate an additional 50 chairs which offer good proximity to the stage and generally good sight-lines. These seats are offered at a discounted rate. Due to the open nature of the facility, Meadow Passes allow listeners to experience the music from the surrounding grounds. Sit at one of the picnic tables or on a bench next to the pond. Bring your own lawn chair or blanket and enjoy the music al fresco! Feel free to bring a picnic or order a picnic basket from Westben. 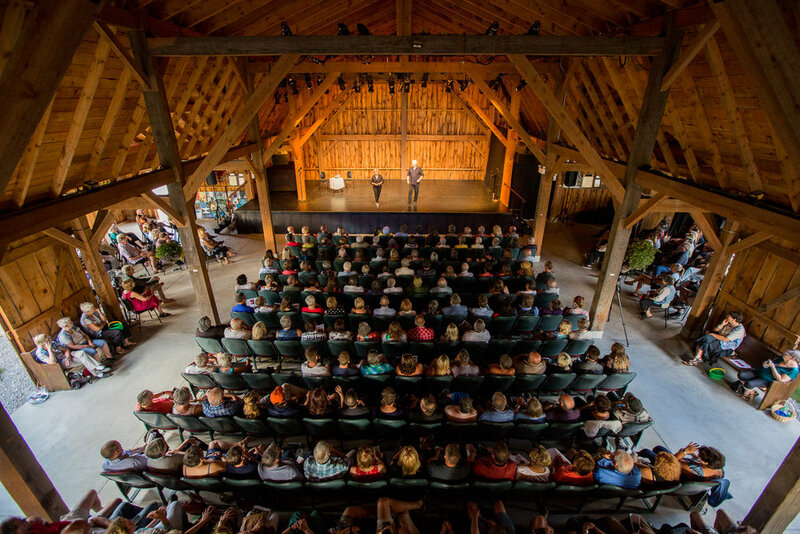 Meadow Passes are half the price of a ticket inside The Barn and are available on the day of performance (weather permitting) 90 minutes before performance time. Please call ahead to make sure they are available.